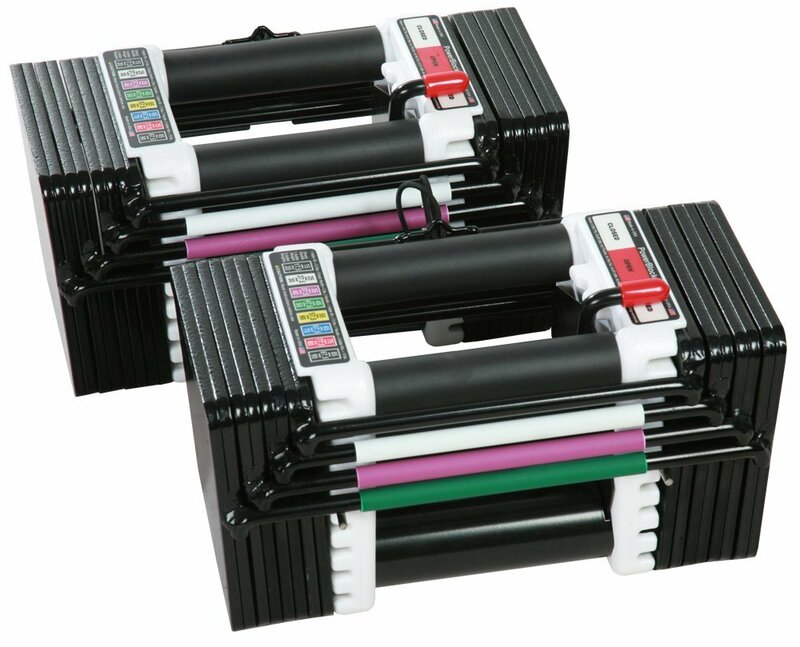 The Bowflex SelectTech 1090 is another brilliant product designed by Nautilus, with over 40 years experience Bowflex is a brand you can trust! 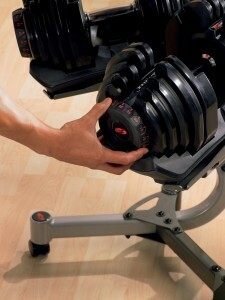 Each dumbbell adjusts from 10 to 90 lbs, adjusts in 5 lb increments. Weight settings in lbs: 10, 15, 20, 25, 30, 35, 40, 45, 50, 55, 60, 65, 70, 75, 80, 85, 90. Easily change the weight with the turn of a dial. Equivalent of combining 17 dumbells into one. Saves space by elimanating the need to have excessive dumbbells. Durable molding around the metal plates to reduce noise if they were to clang together! Two year limited warranty on all parts and weight plates, one year warranty on labor. Dimensions: 17.5″ L x 10″ W x 10″ H.
Can be used for so many different exercises. 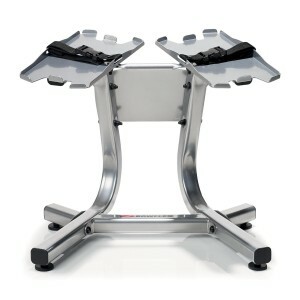 Saves a lot of space and makes your workout area look tidier. Able to change weight quickly by turning the dial clockwise or anti-clockwise. The handle bars are partly rectangular which is designed to help you control the weight at a heavier setting. 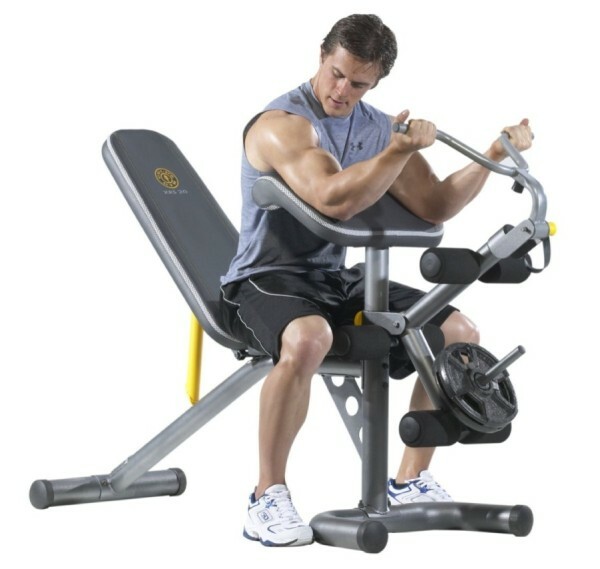 The weight settings starts off light enough to do toning exercises and goes heavy enough to build and gain muscle mass. 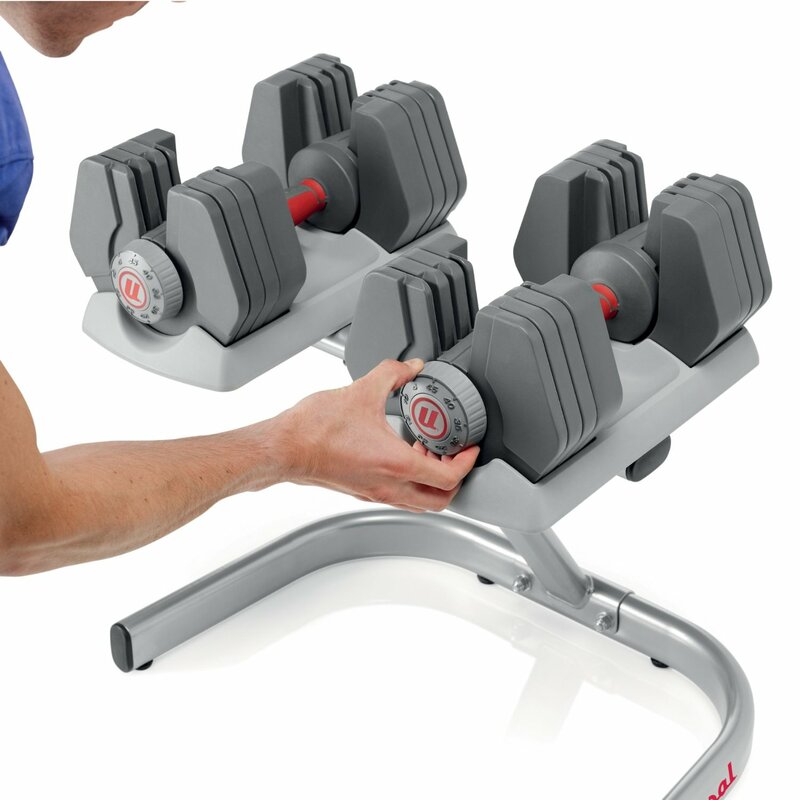 Make your dumbbells look even more presentable with the Bowflex SelectTech Dumbbell Stand. Comes with free Bowflex SelectTech workout DVD “Secrets of the 4 Step Rep”. Quite fragile, the dumbbell has a lot of plastic and is not designed to be dropped. The handle bars are partly rectangular which some may find quite uncomfortable. Some may find the dumbbell quite long. Please remember this is a purchase for one single dumbbell, so if you want a set you’ll have to buy two! The Bowfle x SelectTech 1090 Dumbbell will allow you to do exercises such as bench pressing to build and gain muscle quicker, whereas the Bowflex SelectTech 552 Adjustable Dumbbells may not be heavy enough if you’re trying to build and gain muscle. 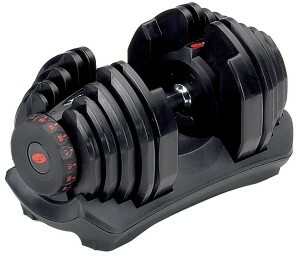 But this dumbbell also has weight settings light enough to do toning exercises or work on smaller muscle groups. 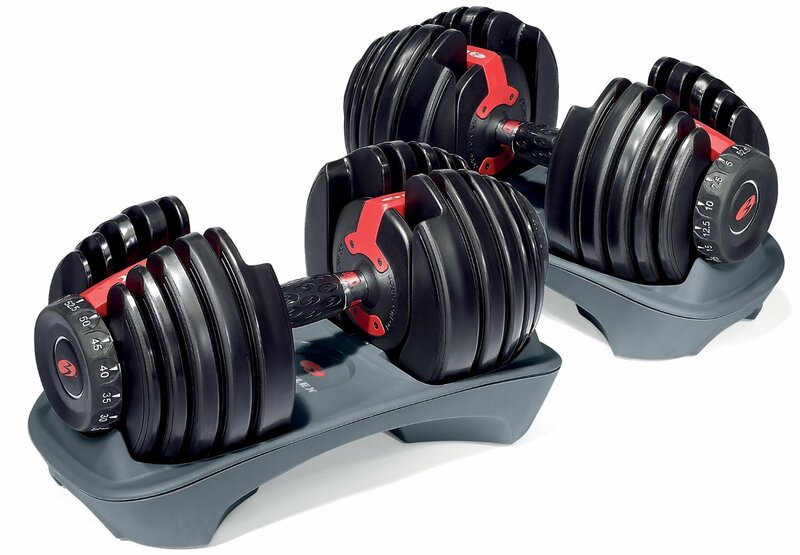 The maximum weight of 90 lbs per dumbbell makes the Bowflex SelectTech 1090 one of the adjustable dumbbells with the heaviest weight setting. 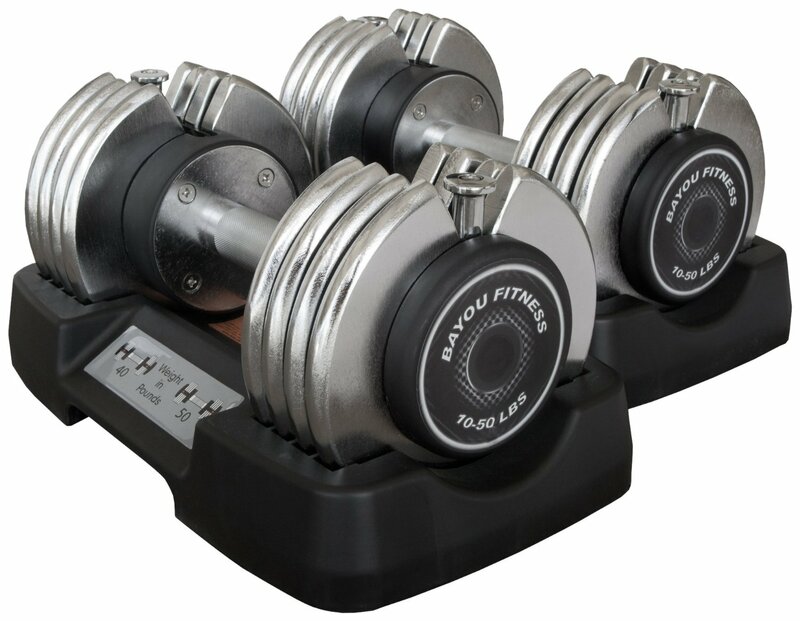 If you want a heavier adjustable dumbbell then the Ironmaster 75 lb Quick Lock Adjustable Dumbbells bought with its expansion kit will increase the overall weight to 120 lbs per dumbbell. Although the handle bars being partly rectangular may be slightly uncomfortable for some people, this is actually designed to help you control the dumbbell better but will only really be effective when you’re lifting it on quite a heavy weight. If this does bother you wearing weight lifting gloves should do the trick! As the Bowflex SelectTech 1090 Dumbbell has 17 weight settings it would actually be cheaper to buy this as opposed to buying the dumbbells individually.